UPDATED: Thu., Feb. 7, 2019, 7:31 p.m.
By any measure, it’s been a difficult time at Fox. The studio of “Avatar” and “All About Eve,” of “The French Connection” and “The Sound of Music,” is preparing to downsize considerably as it is swallowed by Disney as early as the end of the month. By some estimates, several thousand jobs could vanish. On a visit to the lot last year, a reporter came upon an eerie scene, as executives worked on movies with a sense of weary finality. So the one thing the 83-year-old studio wouldn’t want is to go out on a sour note. And Wednesday, it revealed that it wasn’t – thanks to a most improbable savior. Parent company 21st Century Fox released its earnings report for the second quarter, almost certainly its last quarter as a firm focused on the business of scripted entertainment. Earnings were solid – when factoring out the sale of its Sky stake in Europe, they came in at 37 cents per share, 4 cents higher than analysts’ forecast. And filmed-entertainment profit? It was up 47 percent over the prior year’s quarter. But it turns out the property that made the results respectable wasn’t a big superhero film. It wasn’t “The Simpsons” or any other long-running franchise that usually drives these kind of results. It was “Bohemian Rhapsody,” the one-off musical biopic about Queen frontman Freddie Mercury. 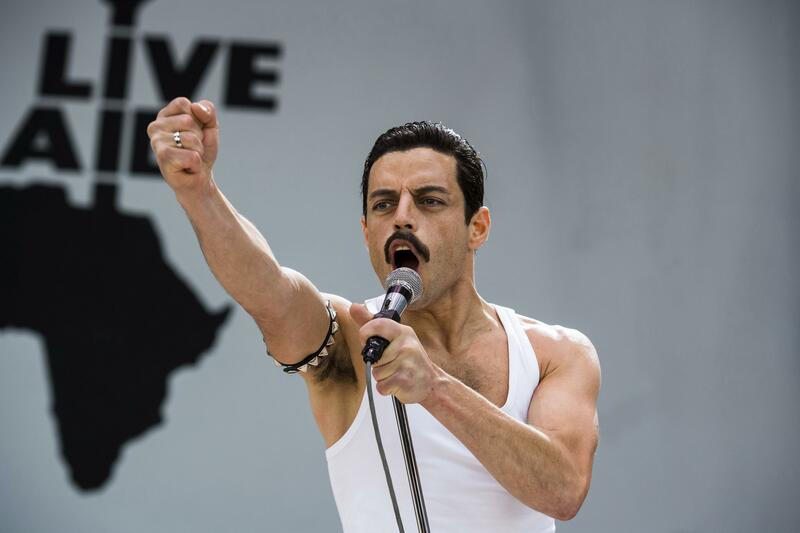 The operating-income increase “reflects higher contributions from the film studio led by the worldwide theatrical performance of ‘Bohemian Rhapsody’ (winner of two Golden Globes and nominated for five Academy Awards),” the studio noted in a release about the Rami Malek-starring picture, a surprise winner for best drama at the Golden Globes last month. The movie is, to say the least, an unlikely redeemer. “Bohemian Rhapsody” struggled epically in development, going through years with Sacha Baron Cohen, who clashed with guitarist Brian May and the other keepers of the Queen light. It saw numerous scripts that didn’t pass muster. And then when it did get made, director Bryan Singer was fired midway through because of alleged absences from the set. The director, who has been accused by multiple people of sexual abuse, was disappeared from the film’s publicity campaign and has not been mentioned by others since it rolled out in the fall. Oh, and critics disliked it. Somehow, despite all that, “Bohemian Rhapsody” has become a massive hit. Not to be ignored is how big it’s been for Fox. In fact, at the moment it stands as the sixth-highest-grossing movie globally in Fox history – and the highest not to come from a franchise or James Cameron. The odd twist is that this is exactly the kind of movie Disney won’t make, but maybe should. That studio builds (and builds off) existing franchise universes, not the youth of British rock stars. Yet “Rhapsody” has had the kind of global contagion effect Disney executives spend months plotting. The film has captivated in Mercury’s native England; it has prompted random bursts of cosplay in Japan. So “Bohemian Rhapsody” is doing what Fox movies historically did – tell original stories it thought America wanted to hear – with the kind of global contagion modern Disney wants. The numbers represent the kind of results that make Disney board members buy Fox in the first place, yet won’t be the kind of movies they make once they have the studio. These are paradoxical times in entertainment. Still, there’s something fitting about “Bohemian Rhapsody” as Fox’s final major film before the show doesn’t go on. The studio began in the 1930s under a dark cloud. Created when the exiled United Artists moguls Joseph Schenck and Darryl F. Zanuck combined with the embattled company Fox Film, it promptly underwent a series of disasters. Anchor talent Will Rogers died in a plane crash. Spencer Tracy was out of the studio due to alcoholism. Its remaining lead star, Janet Gaynor, found herself no longer able to carry the box office. Yet within a decade, the new Twentieth Century Fox was producing a dizzyingly diverse group of hit movies, from upscale dramas such as “Gentleman’s Agreement” to Rodgers & Hammerstein adaptations to the films of Shirley Temple. That “Bohemian Rhapsody” would begin so ignobly and then finish with a flourish is in keeping with that tradition – and, perhaps, a fitting end to Fox. Published: Feb. 7, 2019, 5:50 p.m. Updated: Feb. 7, 2019, 7:31 p.m.